Over 20 years experience looking after overseas snooker players since 1991. We have looked after the affairs for China's No1 player & 2013 Shanghai Masters Champion Ding Junhui in the U.K. and Europe since he was 15 years old. 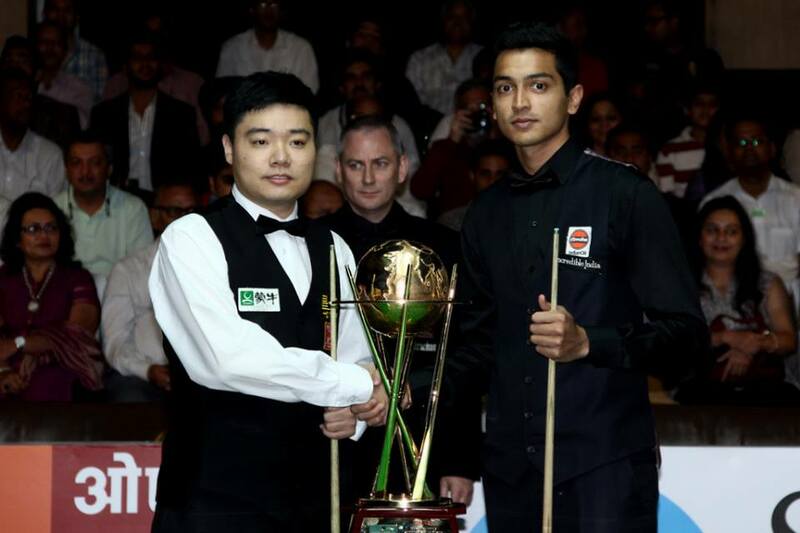 Ding and Aditya at the Indian Open final. Picture by World Snooker. Ding was Welsh Open Champion and Championship League winner in 2012 and along with Liang Wenbo won the World Snooker Team Championships representing China in the 2011 World Cup. A number of overseas professionals including Thai legend James Wattana, 2013 Asian U21 Champion Noppon Saengkham, 2010 IBSF World Champion Dechawat Poomjang along with China's Tian Pengfei and 2018 WSF winner Luo Honghao are based at The Star Snooker Academy under our guidance.